Our heritage, cultural and educational objectives are in place and have resulted in a very significant increase in visitor traffic and media exposure, local, national and international. The major civil engineering work is complete to restore the map to its condition as completed 1979. This includes reinforcement of originally uncompleted foundation work and hydraulic sealing of the sea bed. The project continues with repairs beyond the completion stage which was achieved by pioneers Jan Tomasik and Kasimierz Trafas who created the Great Polish Map of Scotland in 1975.
a) Sealing of seabed area to limit ground seepage loss of water as required by the Scottish Environmental Protection Agency (SEPA). b) Full reconstruction of map overflow pipe due to major damage to existing pipe. c) Repair of significant leakage sites in old 150m delivery pipeline due to poor original construction. d) Replacement of viewing platform due to serious rotting of support structure. Funds for the above were obtained by budget re-allocation or raising of additional voluntary donations. We have also received numerous smaller donations, materials and support in-kind from members, local community residents and well wishers. Where specialist contractors have been used, local companies have been invited wherever possible. This has contributed to the local economy in the greater Peebles and Midlothian area. The work-in-kind from our Trustees and Steering Group is valued well above a minimum of £100,000 for the duration of the project to date. Barony Castle Hotel LLP and their staff have provide regular on site support in kind in many diverse ways. Our annual accounts for the two year duration of the HLF grant contract are published separately at the end of each financial year and are independently reviewed by the Office of the Scottish Charity Regulator (OSCR) and our matched funding providers. We have secured an abstraction and impoundment licence from Scottish Environmental Protection Agency to draw water from the Fairy Dean Burn, and return it about 150m downstream. 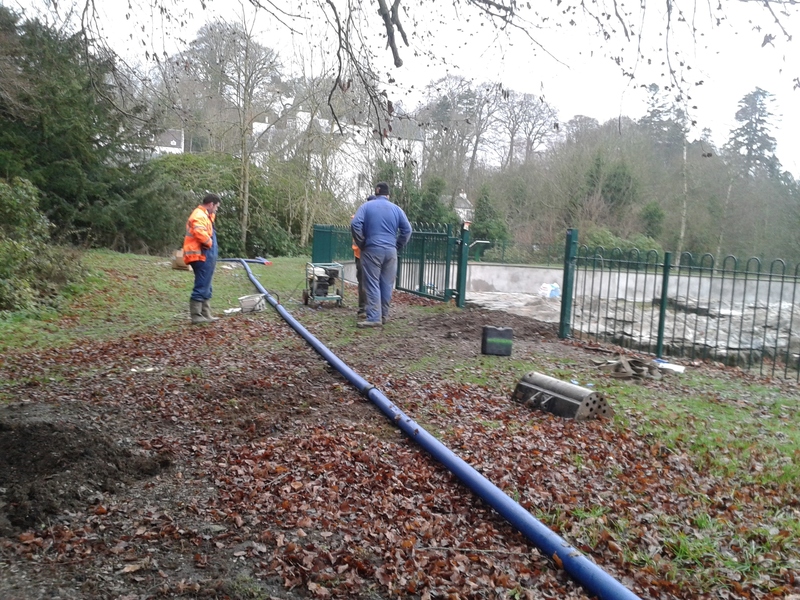 This took the form of an initial interim licence followed by a full licence dependent on installing passive flow control arrangements at our abstraction point. The design for this is under development and falls beyond our delivery remit under the grant arrangements. 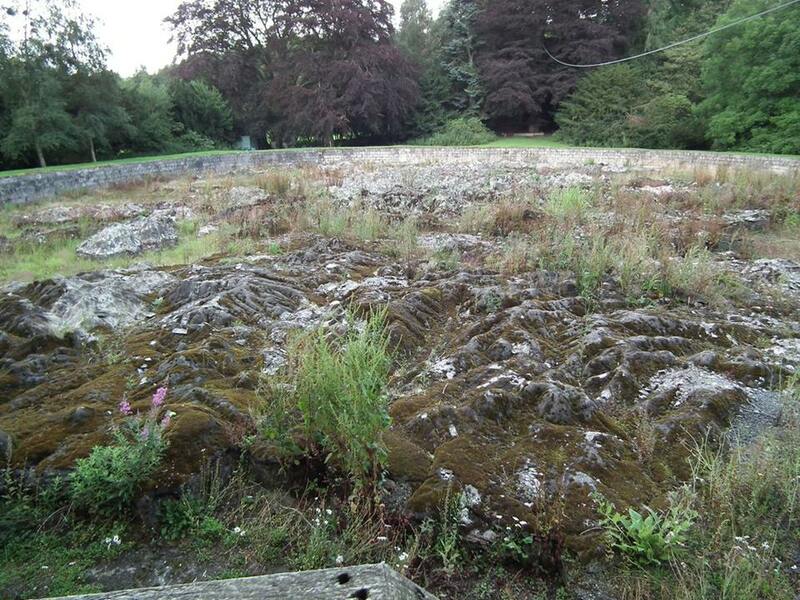 Category B Heritage listing has been granted by Historic Scotland in order to protect the map site. 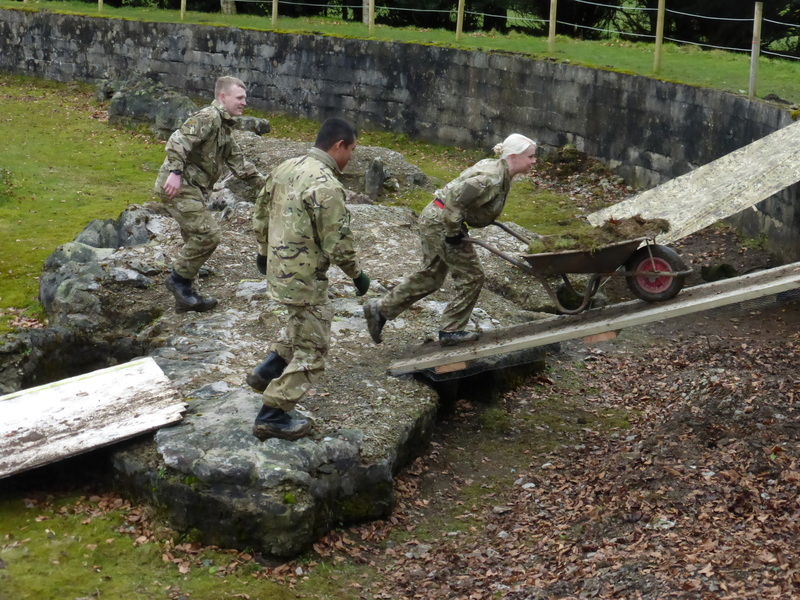 We have now removed over 200 tonnes of soil, vegetation and concrete rubble from the pit. This was greatly helped by the No. 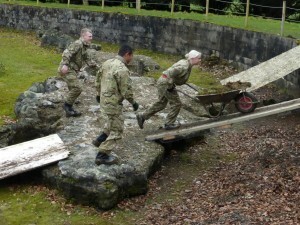 2 Scots, Royal Regiment of Scotland from Glencorse Barracks in Penicuik and local contractors. A pressure washer augmented our manual cleaning operation and accelerated the removal of 40 years of moss, weeds and atmospheric pollution staining of the concrete. As an important precursor to major work and to provide shelter, we installed a site workshop and office base. All major plant and equipment has been procured. 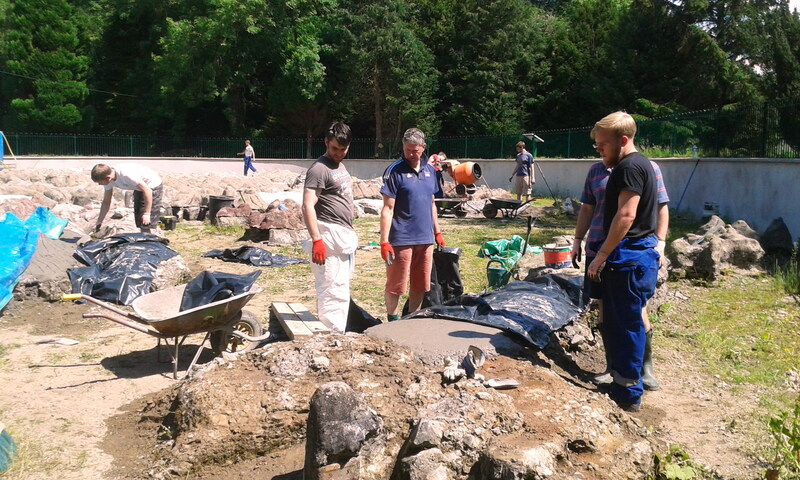 We continue to rely crucially on volunteer labour for much of the work. This has been more difficult to procure than was envisaged in the original business plan. A new permanent safety fence has been installed around the pit. The 155m circumference pit wall was fully restored by pressure cleaning, re-covering with 3 coats of reinforced render, new in-situ cast-in coping and bottom corner fillet for hydraulic sealing to the seabed. Repair of damaged topography foundations has been in progress since early autumn 2014, with over 30,000kg of concrete poured to date (November 2015). The EDF Torness community support team completed the foundation repairs to the Isles of Mull and Skye. A new surrounding footpath has been completed along with a wheelchair accessible approach ramp from the gravel drive. 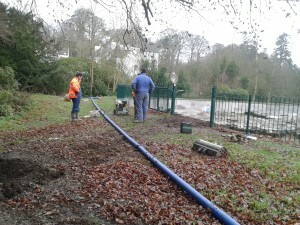 Landscaping work has begun with a flower planting programme. The major 100km Ordnance Survey northing and easting grid lines have been surveyed and marked in preparation for detail topographic repairs. All leak repairs to the 160m underground supply pipe are complete, providing full pressure head of 1.6m (above Ben Nevis summit) to the map for the first time since the 1970s. 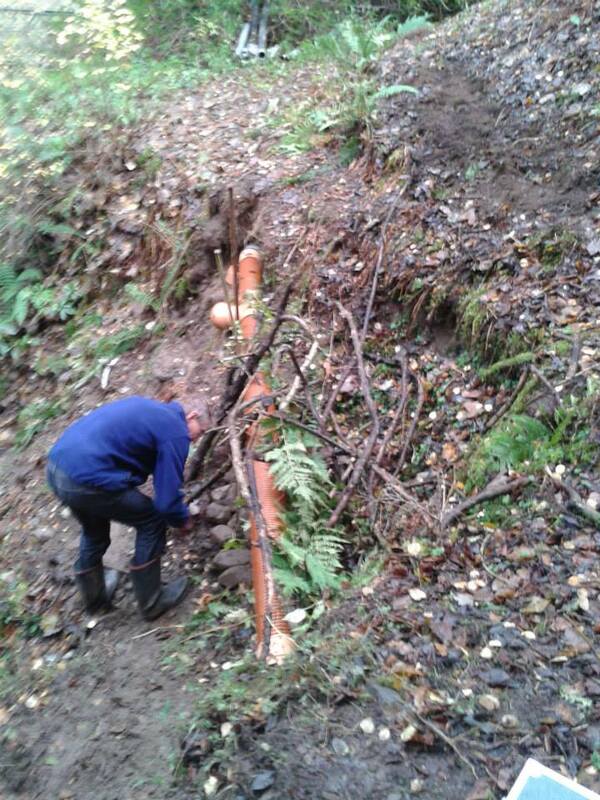 The fractured underground outflow pipe in the ravine was found to be irrecoverably damaged by ground movement. 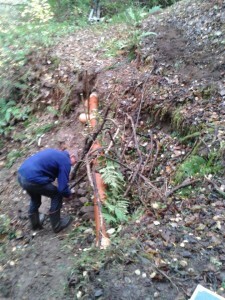 This has been cut above the damaged section and a new surface extension down to the burn has been completed. The main east and west coast water supply pipes have been installed below the North Sea and Hebridean Sea terminating at 12 points around the coastline. The surrounding sea has been test filled to high tide level for leak measurements and consolidation of the subsoil. We have designed and installed three information panels telling the story of Barony Castle’s wartime background, the commissioning of the map in the 1970s, and the current project to restore the map. We continue to give talks about the map and its history. The project was launched with a debate and reception at Holyrood Parliament on May 6th 2011 hosted by local MSP Christine Grahame and Tomasz Trafas, Polish Consul General in Edinburgh. BBC TV and ITV Borders have featured major news coverage of the project during 2014 and 2015. Dutch TV spent a day filming about the Polish Army presence in Scotland during World War 2. This was part of the commemoration of the 70th anniversary of the liberation of Breda by the Polish 1st Armoured Division under General Maczek’s command. A Japanese film crew visited in summer 2015 to film as part of a Scotland tourist promotion film for the SE Asian market. Members have given talks to North Berwick Round Table, Tweeddale U3A, Colinton Literary Society, Royal Scots Regiment at Glencorse Barracks, Scottish Polish Heritage, State of the Map of Scotland Conference, 9th International Conference on Ultrasonic Biomedical Microscanning, and hosted many other visits to the map, including local cubs and brownies. We have launched a website at www.mapascotland.org (with Polish text included) and a Facebook site at www.facebook.com/mapascotland. We also maintain a Wikipedia page. Over 6000 new publicity leaflets have been distributed in Polish and English throughout the Borders and Central belt. The new information panels at the map are intended to introduce visitors to the project and direct them to the website for more detail. Barony Castle Hotel is a major partner and supporter, providing us with the site lease and matched funding up to £25000. The hotel also guarantees free public access to the map as a part of our grant aid obligations. The first four years of Mapa Scotland focussed on site clearance and securing of grant aid. Having secured the necessary grant aid by November 2013 work began on the education and historical research along with repair and restoration of the map to the condition where it was left in 1979. All historical and educational material production is complete. All major restoration, repairs and reinforcement of unstable foundations has been completed. We continue with detailed restoration of the landscape topography. There has been a dramatic increase in visitor traffic over the past year since restoration work at the map has become more visible and visitor access arrangements have improved. Continuing development of the visitor site beyond the constraints of our current budget will depend on future fund raising as we proceed into the operational and maintenance phase. Promotion of the cultural linkage between Scotland and Poland continues. Visitors during 2015 calendar year. There is no automatic counting system for visitors to the map. Estimates of visitor numbers and category breakdowns are based on information from hotel reception staff and the observations from our volunteers at twice a week working parties. A standard brown tourist attraction sign has been installed in the village. Facebook – routine reports of progress. Mapa Scotland website – history of the map and cultural links between Scotland and Poland. Television coverage – BBC Secret Britain, ITV Borders – Border Life, TV Polonica, SE Asian TV via Japan TV promotion film for Scotland a tourist destination; Dutch TV (70th anniversary of liberation of Breda by Polish 1st Armoured Division). Talks and tours of the map. 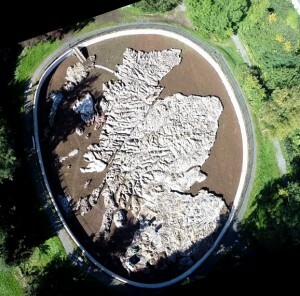 Reception and debate at Holyrood Parliament on the cultural importance of the Great Polish Map of Scotland. Visits by local MSP Christine Graham, local MP David Mundell, Tomasz Trafas – Polish Consul General in Edinburgh. Royal Regiment of Scotland, 2 Scots, Glencorse Barracks. Cardrona Cubs and Brownie groups. East Lothian Council Discussion Group. Volunteers given training in construction site safety, concrete and mortar production, plumbing, surveying, public speaking. Links established with University of Krakow, University of Salzburg, University of Edinburgh, Scottish Polish Cultural Association, Wojtek Trust, Polish Veterans Association UK, Maczek Trust, Polish Consulate in Edinburgh. Many visits from veterans of the Polish Army in their support of the defence of Scotland and the liberation of France, Belgium and Netherlands after Normandy landings. Expressions of Interest do not necessarily convert to useful help. Grant aid bureaucracy is not to be underestimated. Don’t be too prescriptive with budget plans and objectives when project costs have large uncertainties. Recognise uncertainties in financial spend forecasting and ensure adequate contingency funds. Choose trustees with care to ensure that an active interest is maintained.